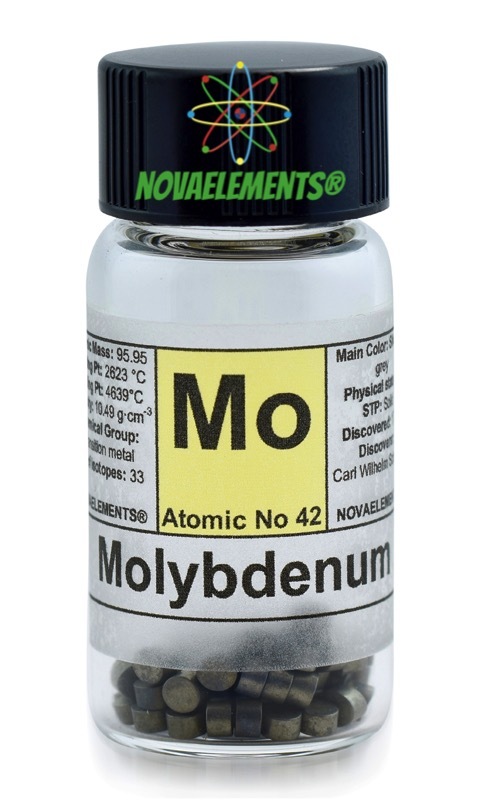 Molybdenum is another transition metal, has chemical symbol Mo and atomic number 42. Molybdenum is a solid and silvery-white metal at normal pressure and temperature, it is strong to cut. 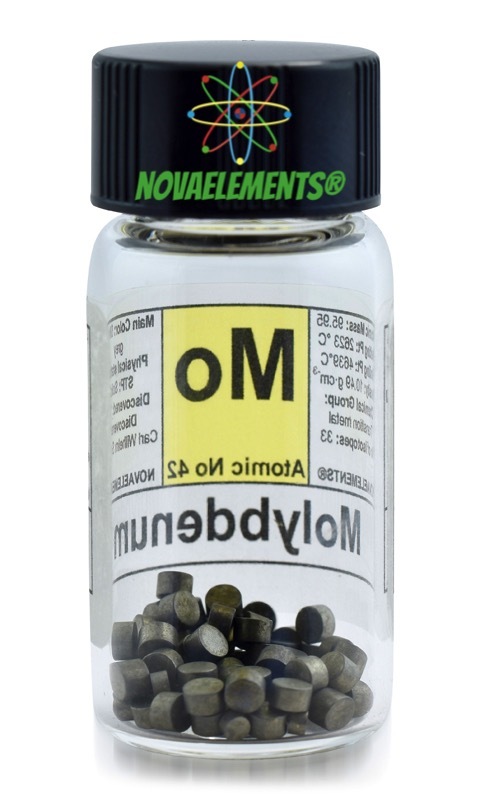 High Purity Molybdenum metal element 42 sample, pellets of 5 grams in high quality glass vial with label. 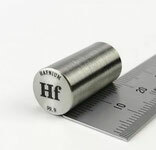 Pure Molybdenum metal pellets. 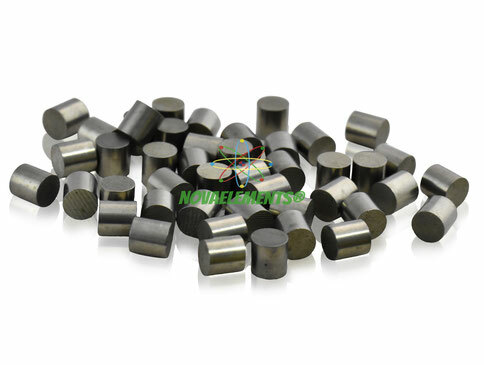 High Purity Molybdenum metal rod 99.95%, pure element 42 Mo sample.